Our daughter Daisy was born at 34+6 days weighing a precious 3lbs 15oz. Thoughout the pregnancy I suffered many complications from the beginning. Hypermesis until 30 weeks and then many growth scans as she was measuring small. It was tough and people don't discuss how hard pregnancy can be. Our final growth scan they monitored and picked up that Daisy's heart beat had dropped and an emergency c section was performed. I was worried I wasn't going to bond with my babygirl as I found the pregnancy hard and due to the fact I wasn't going to experience a normal birth or spend time with her as I knew she would be rushed to intensive care. How I was wrong. Dinky Daisy was a fighter despite all the scares along the way. Daisy gasped as soon as she was born and only needed oxygen for a short while. 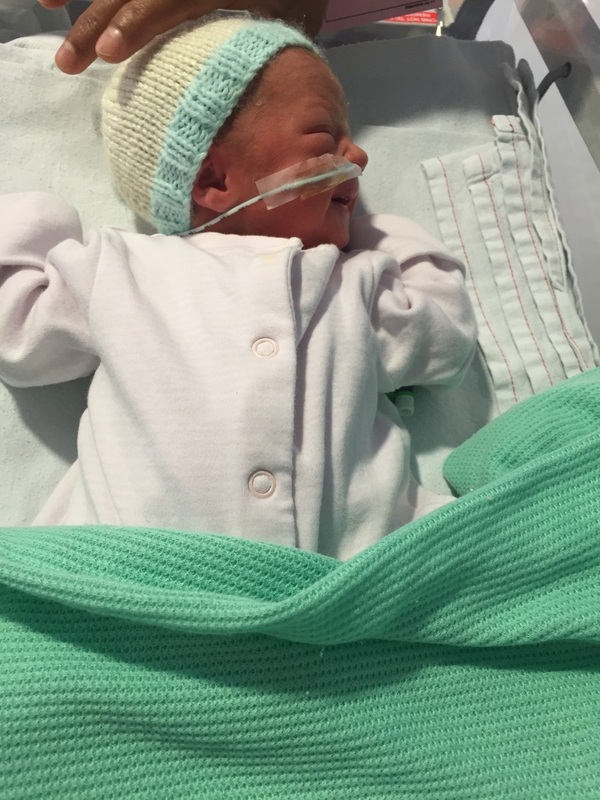 She spent a limited time in intensive care and only tube fed twice. She was in SCBU for 2 days and after that came to me on the ward for transitional care. 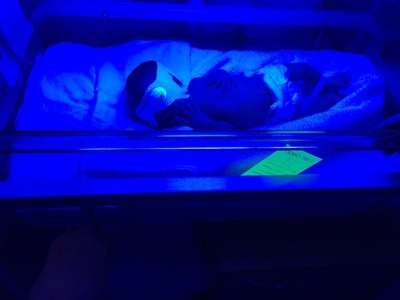 Later she was transferred back for UV treatment for jaundice. Throughout my hormonal breakdowns and the emotion of adjusting to having a baby who wasn't with me, every single person on neonatal unit and the maternity ward supported me throughout. I did not feel I had been in hospital for 6 days more a crash course on how to be a loving parent. Each and every single neonatal nurse and team showed Daisy the affection as if she was their own baby and it brings tears to my eyes at how they made my daunting experience into one I will never forget for all good reasons. 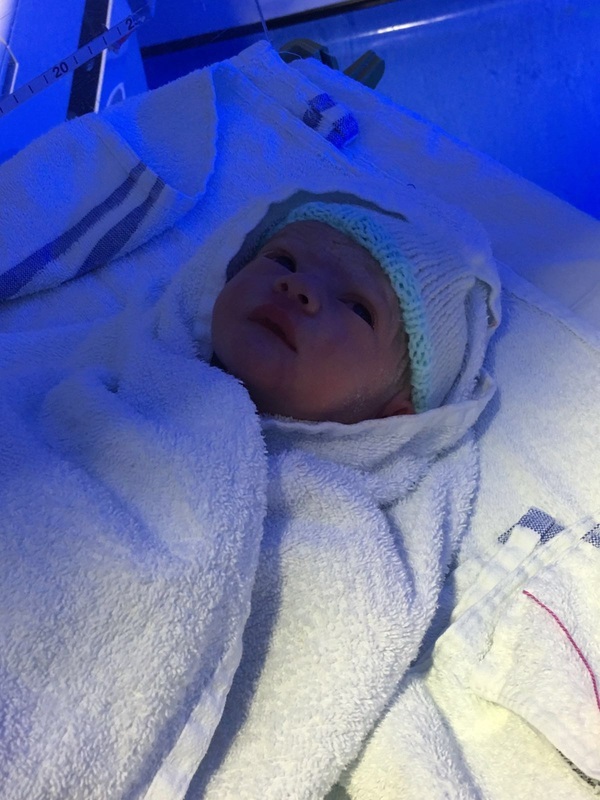 Despite the fact Daisy came early I wouldn't have wished for it any other way as the care and love we got from all the neonatal team was unbelievable. They taught me all the things I needed to know about how to care for my little girl and looked after her and pushed me to be as involved as I could be. I truly believe without them our future would be different. 6 days after their care and support myself and Dinky Daisy were able to come home! I went in for a normal scan and later came home with a little bundle of joy. I can not believe that I have gained 5 weeks extra with my princess and it's extra special that I was able to bring home such a little person. The best things do come in small packages.. And that's all thanks to them! I will never be able to thank each and every person enough who helped Daisy myself and her daddy.